Unlike residents of more than 30 U.S. states and many foreign nations, Texans who want to buy a fifth of vodka or bourbon can't find their favorite spirit on the shelves of their local Walmart or Costco. A landmark ruling issued by a federal court in Austin could soon change that. A protectionist Texas law that has kept Walmart, Costco and other giant retailers from selling hard liquor was found unconstitutional by a federal judge this week, prompting cheers from free-market advocates — and vows of a quick appeal from one of the parties on the losing side. The Texas law that was struck down — unique in the United States — forbids publicly traded businesses from owning liquor stores while allowing family-owned companies to grow into giant chains without fear of competition from large national or international corporations. If the late Tuesday ruling by U.S. District Judge Robert Pitman survives appeals, Texas consumers — like those in at least 31 other states and many foreign countries — will be able to buy vodka, tequila and bourbon from Walmart-owned stores and other multinational retailer outlets. The Texas Alcoholic Beverage Commission, the chief defendant in the litigation, declined comment, citing the ongoing nature of the lawsuit. The Texas Package Stores Association, which has fought to keep the law on the books and intervened as a defendant in the lawsuit, promised to appeal the ruling to the U.S. Court of Appeals in New Orleans. 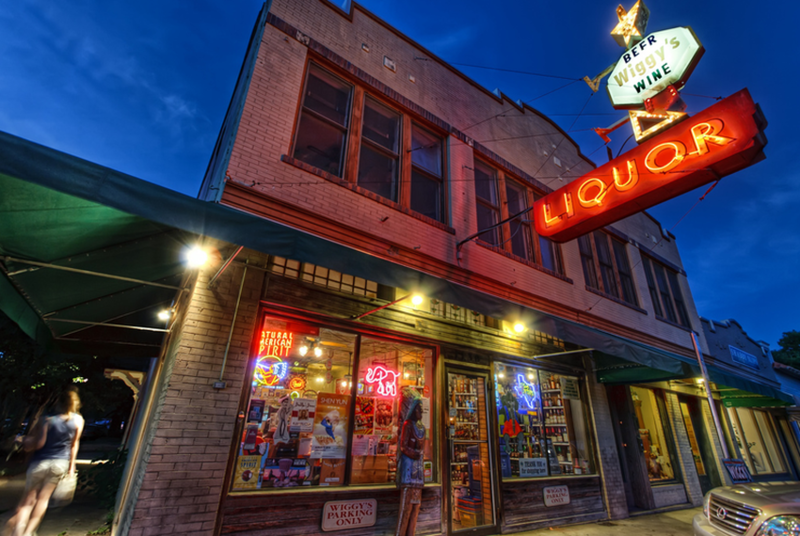 The association’s executive director, Lance Lively, said the group was disappointed at Pitman’s ruling, saying it would “overturn decades of Texas law regulating the sale of liquor in Texas.” The Texas Package Stores Association represents liquor store owners in the state. “We will appeal the trial court’s decision and continue to fight for family-owned liquor store owners against the world’s largest corporate entities that seek to inflate their profits by upending sensible state laws that protect both consumers and small businesses,” Lively said. Experts said an appeal could take more than a year to play out in the federal court system — longer if it were to wind up in the U.S. Supreme Court. In the meantime, Texans can expect the status quo in liquor retailing. If publicly traded companies eventually are allowed to sell distilled spirits, existing law would still require the companies to build separate facilities, though they can be adjacent to existing stores. The fight over the arcane Texas liquor laws began three years ago when Walmart sued the Texas Alcoholic Beverage Commission in federal court in Austin, arguing state liquor laws unfairly gave family-owned chains the right to obtain unlimited liquor store permits while shutting the largest U.S. retailer out of the lucrative market entirely. In a sweeping 50-page opinion, Pitman sided with Walmart, ruling that provisions of the Texas Alcoholic Beverage Code violated both the Commerce Clause and the 14th Amendment guarantee of equal protection under the law. Walmart Stores Inc. has been a financial supporter of The Texas Tribune, a nonprofit, nonpartisan news organization that is funded in part by donations from members, foundations and corporate sponsors. Financial supporters play no role in the Tribune's journalism. Find a complete list of them here.